← Tips for safe dog walking. 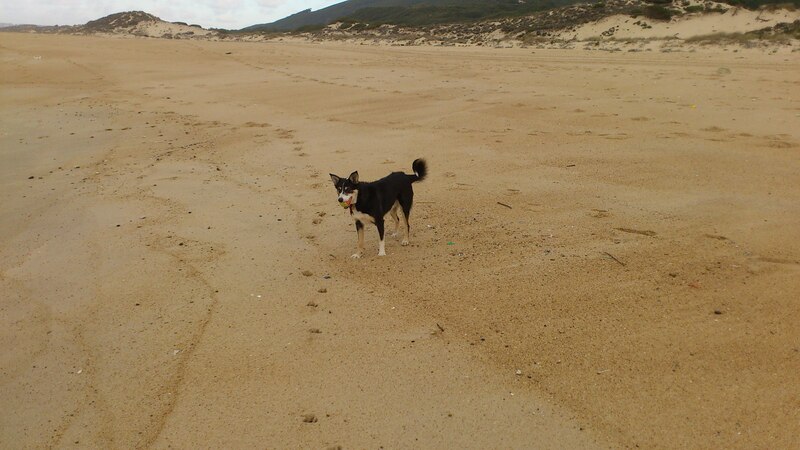 Our first walk will take place at Salgada Beach in between Sao martinho do Porto and Nazare. This is a lovely spacious, reasonably quiet beach ideal for the dogs first training walk together.